Tarazod Films & Media LLC: Chicken Flick hits Pender Island, BC tonight! 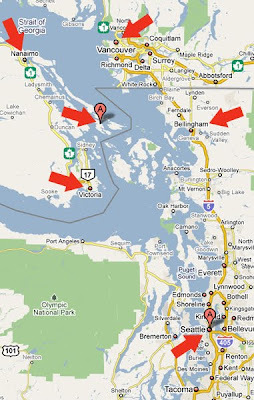 Mad City Chickens returns to British Columbia--this time to Pender Island. The 7:30 pm public screening is being sponsored by the Pender Island Film Group and will be shown at the Pender Island Community Hall, 4418 Bedwell Harbour Rd. The Northwest has been very good to our film. On the map are a few of the cities it has played in.